If you want to discover who you are deep down in your core so that you can attract the correct Soul Mate and Soul Purpose Career, you only have to take a look at the Planets, Signs and Houses of your personalized Astrological Chart. For those of you who have experienced a Consultation with me, you will have information on your chart, for everyone else, you will need to create one. You can get a free chart from www.astro.com. The Moon represents your emotions. It’s your conscious and sub-conscious mind. The Moon is ruled by Cancer, one of the water signs and is most comfortable when in either Cancer, Scorpio or Pisces. As the Moon moves every 2 ½ days you will need your chart to discover in which Sign your Moon is located. The Fire Signs of Aries, Leo and Sagittarius act on their emotions very quickly. The Earth Signs of Taurus, Virgo and Capricorn tend to be more cautious with following their emotions. The Air Signs, of Gemini, Libra and Aquarius are attracted emotionally to people who communicate with their voices and are unusual. The Water Signs of Cancer, Scorpio and Pisces are the most emotional and tend to act or react depending upon the situations in which they find themselves in. To be in a successful relationship, there must be Moon Sign compatibility. E.G. If you have an Aries Moon and are involved with a Leo Moon, you have compatibility. If you have an Aquarius Moon and you are involved with a Capricorn or Pisces Moon, you do not have compatibility. You can certainly learn about the other sign and see how you could work together, BUT it will be very difficult as Aquarius, Capricorn and Pisces are all very different. Mercury represents how you communicate and the types of communications that work for you. The Sun and Mercury are never that far apart, which means that if you have your Sun Sign in Virgo, your Mercury can only be in either Leo, Virgo or Libra. If you have your Sun in Capricorn, your Mercury can only be in either Sagittarius, Capricorn or Aquarius. As communication is the foundation of all types of relationships, personal and business, it’s important that you are with people with whom you can communicate in an easy manner. Gemini and Virgo rule Mercury, so if you have your Mercury in either of those signs you are going to be able to communicate with a wider variety of people. Venus represents who you love, what you love and how you love. Knowing which Sign your Venus inhabits will give you incredibly insightful information into the type of relationships that work for you as well as the type of work to which you are drawn. 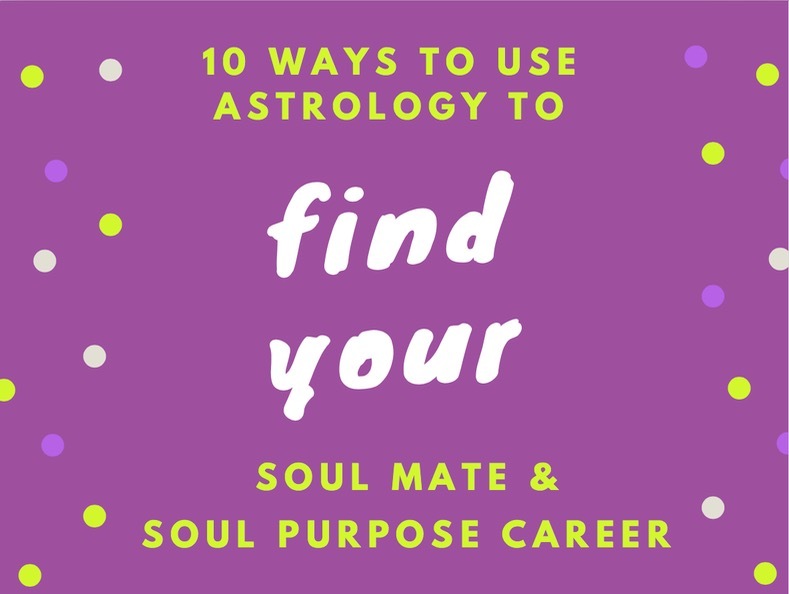 Venus is ruled by Taurus and Libra so if you have your Venus in either of those Signs, life could be easier for you in discovering your Soul Purpose Career and Mate! The toughest placement is Venus in Pisces as these people tend to experience a lot of disappointment in relationships. They tend to put their partners on a pedestal when that partner doesn’t deserve it. Remember the old saying “what goes up must come down” that applies to the Venus in Pisces. In terms of compatibility with your Soul Mate, this is one of the most important Planets and the Signs do matter. If you have your Venus in Libra and your partner’s Venus is in Aquarius, much success will be experienced. You are both going to be on the same page about how you conduct yourself in your relationship. If you have your Venus in Pisces and your mate has Venus in Virgo, that’s never going to work as the Pisces will feel criticized and the Virgo will feel the Pisces is too wishy-washy and ethereal for them. Mars represents where your energy is best spent and rules your career area. The best careers for you will be shown by which Sign your Mars inhabits. For those with Water Signs you are the caretakers of humanity and you enjoy comforting and nurturing the rest of us! They make great Psychologists, especially if your Mars sits in Scorpio, as well as Financial Planners. For those of you with Earth Signs you are drawn to Real Estate, Landscaping, Finances and everything to do with the home and gardening. The Air Signs are the ideas people and work well in Design, Human Resources and finding balance. You also do well as Judges and Mediators. The Fire Signs are the “doers”. They love to act. Being self-employed in any type of “new” venture can be exhilarating for them. Long Distance Travel, Higher Education, including Spiritual Teaching fits with who they are. They also tend to speak directly and clearly to others, which is why self-employment is so important. Jupiter represents luck and growth. Jupiter is ruled by Sagittarius, so if you happen to have your Jupiter in that sign, experiencing luck and growth in your relationships, your career and with your finances will be hi-lighted. The Water signs will have more growth and luck when they tap into their emotions. The Fire signs will experience the type of growth and luck they are looking for when they act. The Earth signs expand when they have solid plans upon which to act upon. And the Air signs will need to be in some type of partnership where they can bat ideas back and forth, to support their growth. Depending upon when you were born will determine if you have any Retrograde planets in your chart. Of the Planets I mention above, Mercury, Venus, Mars and Jupiter can be Retrograde. Retrograde means it looked like the Planet was going backwards when you were born. If you have any of these then you have Karmic lessons to learn about Communications (Mercury), Love (Venus), Work and Energy (Mars) and Spiritual Growth (Jupiter). It also means that you may experience more success in your life the older you become as we tend to work through our “issues” when we are younger, thereby enabling us to experience success in those 4 areas, even if we do have a Retrograde Planet. Depending upon the Planet and Sign in which your Rx is located will determine how easy or difficult the area is for you to overcome. You can do this one of two ways using your Astrological Chart. You can discover in which signs your Moon and Venus are located and look at what are the values of those signs or you can get clear, in writing, about the values, characteristics and beliefs you are looking for in a mate. You will notice that most of the time your Moon and Venus will align which what you have written. If you are currently in a relationship that doesn’t seem to be going in a direction that’s working for you, check out your list and your partner’s Moon and Venus Sign. Are they looking for something different than what you are looking for? Do they emotionally react in a way that doesn’t work for you? If your Venus is in Taurus, you are looking for somebody that is sensual as well as financially secure and wants to create a loving home base. If you are involved with a Venus in Aquarius, they are looking for friendship, originality, uniqueness and not concerned about money at all or living in the same area for a long period of time! Not a good combination. Notice I mention all 3 that you could be experiencing to earn an income?! Firstly, you must decide the “work” in which you want to be involved and the difference between Job, Career and Calling. A Job is something you do for money. Doesn’t matter whether you like it or not, you are doing it for money. Your Career is something you continue to expand on over a period. You might climb the corporate ladder and/or become self-employed at some point to continue to grow. Money is important to the Career, just not as important as the opportunity to grow, learn and move up. Your Calling is something that comes from inside of you and is not attached to how much money you make. That doesn’t mean you don’t want to make an income from your calling, it’s not the most important issue when looking at how you spend your time and energy. You can discover more about your calling by answering the question “If you had 438 million dollars, how would you spend your time and energy?” Of course, you would vacation first and pay off all your bills and donate to charities and organizations that are important to you as well as buy your mum and dad a house set up your nieces and nephews with a trust fund, but then what? You are not going to sit on a beach for the next 30 years, you would get bored. You are eventually going to run out of countries and places to visit and you can only buy so many things. How would you spend your time and energy if money were not an issue? What does your Astrological Chart say about how you enjoy spending your time and energy? What Signs are in your Mars and Jupiter? What does that say about you? What do you want to give back to the world? Just as you do for a relationship, make a list of all the things you love to spend your time doing. Don’t worry about the IBS Committee in your head which will start to say, “How are you going to make money doing that?” You must know the “what” before you can know the “how”! Your IBS Committee might also start talking about how you can’t quit your job. You have kids to put through college and you need a new roof! Again, ignore it. No one is asking you to quit your job today, just start writing and gaining clarity. If you have Signs in Taurus, Virgo and Capricorn you are going to love researching. Don’t just read what I write astrologically, check out other websites on the internet to find out more about your Moon, Mercury, Venus, Mars and Jupiter. Gain a greater understanding of YOU to create a life, personally and professionally, that is successful, financially, emotionally, mentally, spiritually, physically and psychologically. The more you know about who you are at your core the easiest it will be to create a life that is in alignment with who you are. Remember that you can only focus on YOU when it comes to what you want in life and that you cannot make anyone else want what you want, unless they naturally want to! I am going to use myself as an example to show you want I mean about putting it all together. As you will have noticed I didn’t mention the Sun Sign. As far as I’m concerned, the Sun Sign is not that important in attracting your Soul Mate or your Soul Purpose Career. The most important Planets are Moon, Mercury, Venus, Mars and Jupiter. The first 4 are going to be personal to you. They move fast, so even if your best friend is born 4 days after you, you may still have very different charts. Looking at my own chart, I have Moon in Aquarius, Mercury in Virgo, Venus in Virgo (Rx) (my only Retrograde planet), Mars in Libra and Jupiter in Scorpio. As I’m an Astrologer it’s not difficult for me to look at those Planets and Signs overall and pull out what is important to me. Moon in Aquarius needs freedom emotionally and can be inconsistent in what, who and how they love. I only have about 6 very, very close friends who know everything about me. I have about 600 “others” that I connect with, yet don’t really know me intimately. That is quite normal for the Moon in Aquarius. Mercury in Virgo makes me a great communicator verbally and in writing. Great at research and nit-picking when it comes to the truth. Venus in Virgo Rx means this is a lifetime where I must work on intimate relationships. I have learned to see things from a variety of angles, knowing that mine isn’t always the correct one for others. If you have Venus Rx you are more likely to be married several times. I’m on my 2nd marriage! Mars in Libra needs to bring balance, peace and harmony to the lives of others and I have an ability to ask a ton of questions of others to discover where they are at in their lives and what they want and are willing to do to move forward in a direction that works for them. With my Jupiter in Scorpio I have grown psychologically personally and professionally. Being a Coach has really helped with my psychological growth in my business as I have a knack for understanding others at their core. What do your 5 Planets say about you? What is the story you are telling the world? How do you want to show up authentically? For more information and for fuller explanations about your chart and your Soul Purpose Career you can also purchase my “Monetize Your Authentic Self” for $19 from my Astrologer Dawn website HERE. 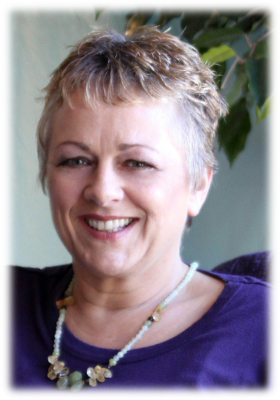 If you are attending any of my free calls I’m looking forward to answering your questions about Astrology and Tarot as well as Coaching you a little on the best direction you can take. Keep going with your studies. I love what I do and use my entire chart in doing it!! !